Yesterday, global fast-food giant McDonalds unveiled their global growth plan to an eager audience attending the company’s Investor Day in downtown Chicago. The plan outlines financial targets and initiatives for the company spanning the next 3 years. While much of the contents of the plan are expected, such as their strategy to retain and regain customers via improved focus and meaningful improvements in quality, convenience and value, other aspects of the growth plan have caused excitement amongst those in the know. I refer, of course, to their hints towards operating a home delivery service in the UK. Now, it is worth mentioning that at no point does the plan explicitly state that McDonalds will launch a UK delivery service. What it does say is that the company is “experimenting with different delivery models” in their top five markets (US, UK, France, Germany and Canada). Following the success of delivery services already offered by McDonalds in China, South Korea and Singapore, alongside widespread demand for similar services in other markets, the UK delivery plan seems like a good one, which I would expect to be highly successful if the fast food company do decide to go ahead with it. “One of the most significant disruptions in the restaurant business today is the rapid increase in delivery. Through technology, delivery has changed the way customers order, pay, track and receive food and provide feedback. Coupled with the explosive growth in third-party delivery companies, the landscape has created an exceptional opportunity for growth. “Because of our extraordinary footprint, McDonald's is uniquely positioned to become the global leader in delivery. 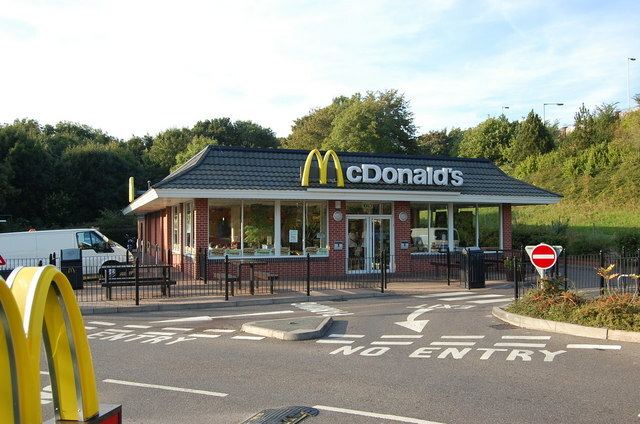 In McDonald's top five markets (U.S., France, the U.K., Germany and Canada) nearly 75% of the population lives within three miles of a McDonald's. McDonald's is already one of the largest providers of delivered food in the world, with annual Systemwide delivery sales of nearly $1 billion across various markets including China, South Korea and Singapore. China has tripled its delivery business since its launch in 2008. In 2016 alone, China's delivery business grew 30%. The company are yet to confirm when, or even if, the new delivery service will begin operating in the UK, but I for one eagerly await more news. My waistline is dreading the announcement.